Montammy Golf Club in Northern New Jersey’s Bergen County is a full service private country club, located in the rolling hills of the Palisades above the Hudson River, in Alpine, New Jersey. Montammy Golf Club is near NYC, only 7 miles north of the George Washington Bridge. Founded in 1966, the Montammy Golf Club offers its members and guests a challenging and well-maintained 18 hole championship golf course, six Har-Tru Hydro and two Hard-Top tennis courts, and a spacious and welcoming clubhouse, with dining, locker and athletic facilities and a swimming area. You don't want to miss this event! 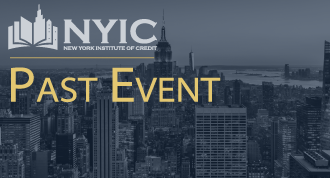 Join NYIC, ABI & IFA Northeast for a great day of networking.